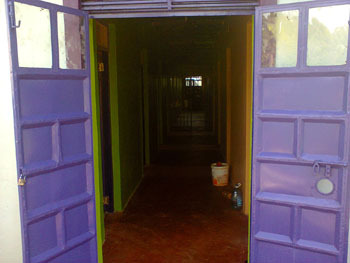 JohJan LifeNets Academy was first established in January 2008 by John Otieno Owak and his wife Janet Anyango Otieno. 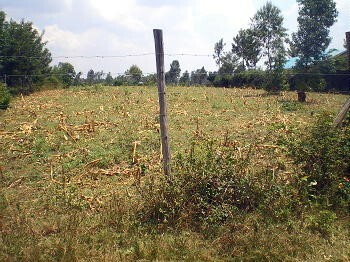 It was a valiant attempt to start a children's school for all grades in Migori, Kenya, near the Tanzanian border, after the chaotic Kenyan elections which brought on much violence in the country. 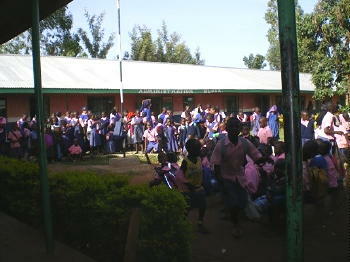 Janet and John worked very hard against great odds to keep building this school one grade a time as each year passed. At first, LifeNets helped out in a modest way, but in the summer of 2010 we became more fully involved as another shool project that LifeNets was trying hard to start was simply not working out and we turned all our funding to this project. As of this date we have provided $172,000 for this project. 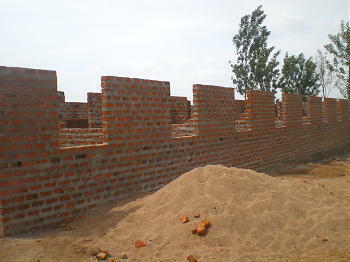 Of this, most recently, United Church of God supporters in Australia have provided more than $12,000 for the girls dormitory construction in early 2013 as part of a $33,000 grant from LifeNets to JohJan. Australian $1.00 and $2.00 coins are gold in color. Back in 2001, some United Church of God congregations began a 'Gold Coin Donation Program' at weekly church services to raise funds for LifeNets' African projects. The program has continued since then and also runs at the Church's annual eight day festival held in the September/October period. The program has enabled regular donations to be sent to a number of individual and collective self-improvement projects sponsored and administered by LifeNets. It's a simple, easy to manage donation program. We are also very thankful for an $11,200 fundraiser by the Seattle Skyline Rotary Club in 2010 and a private donation of $30,000 to help with the finanacing. 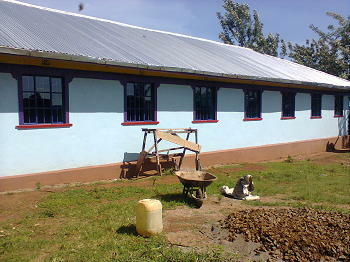 After receiving the first funds for the construction of the Schoo in 2010, the school was renamed JohJan LifeNets Academy from to JohJan Academy to include the name of the donor organization that assisted with funds to construct the school to the standard recommended by the government. Please read the latest October 3, 2013 update below for the progress reports since our last one in July 2011. What led to the building of the dormitories was that parents in the close neighboring country of Tanzania wanted to have their children come to the Academy, but even the van trip to pick them up on a daily basis was not possible.. 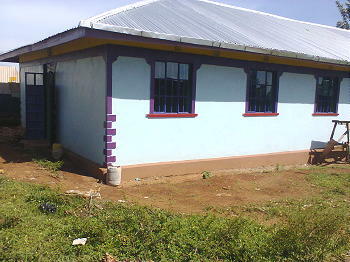 So, director John Otieno asked from the funds saved from the first grants to build the classrooms to start constructing the dormitory on the land adjusted for the playing ground for the pupils as the photos below show. 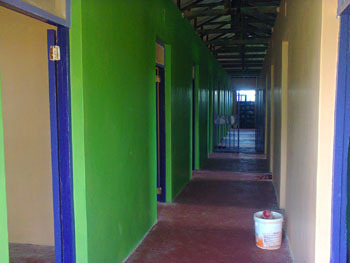 On left is the dormitory building with the capacity of 16 rooms that will accommodate up to 96 pupils in it. 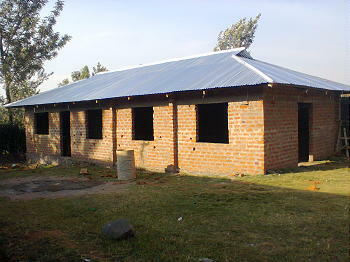 After constructing the dormitory, a kitchen and dining hall was needed for the pupils within the premises of the dormitory. 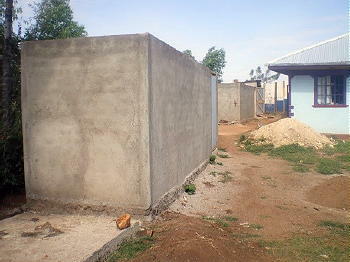 This led to a request for a grant that amounted to $33,000 from LifeNets to construct the kitchen and toilets and bathrooms below. Construction is not complete and what remains is the fitting of doors and windows, painting, wiring and furnishing the kitchen/dining. 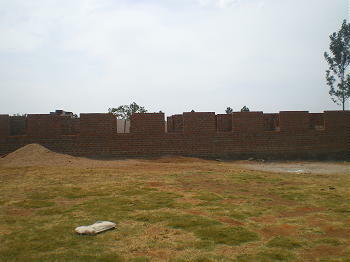 So far we have done all of this and we are looking forward to completing the construction so that we can accommodate more pupils by next year as per the demands is great when God will provide for this, all of the goals will be achieved as per the business plan sent to the LifeNets. The School population is now 220 pupils, 13 teaching staffs and eight non teaching staffs who are being paid salary each month. God has come with us from far, we know He will finish this work as per our plans. See below photo for the population we have as per now. We hope to have more students next year since this year our first pupils are going to sit for the first national examination of which we hope if they pass well, more pupils will come and after that the school would be self-sustainable as per the vision and Mission of the School. 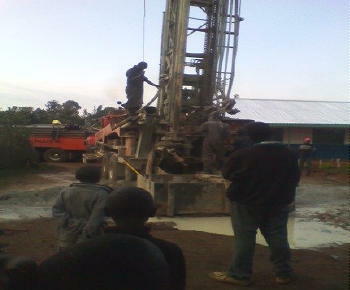 Two major events in the Academy's development have been the purchase of a van and drilling a borehole to provide water. 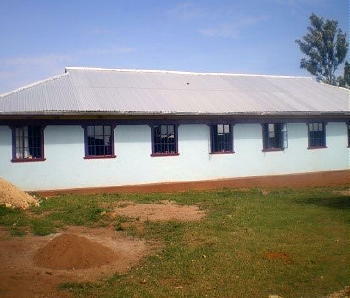 After the completion of this classrooms two years ago, we also were with a need of water since water is the life, our request for drilling bore hole was accepted and the funds came from the donors of which we drill the water within the School compound. As you can see the photos below. 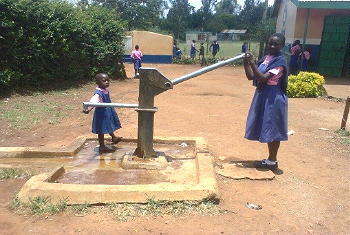 Completed bore hole pump installed ready in use. 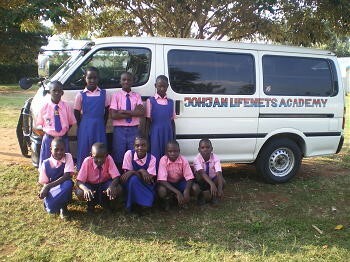 After completing the building of the eleven classrooms, there was need of the School van since the school started attracting many people even the parents from the far areas that the need of a school van was, the director requested the LifeNets Organization for possibility of purchasing the school van of which the LifeNets accepted and donated funds for the van of after was purchased. This van is now helping also as source of the income for the school to cater for some of its services, insurance and pay some teachers salary since some parents do not always pay at the right time. We really appreciated the assistance of this van. 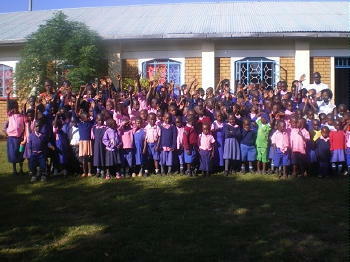 And it’s important to get more pupils from far areas to join JohJan LifeNets Academy for better and quality education. 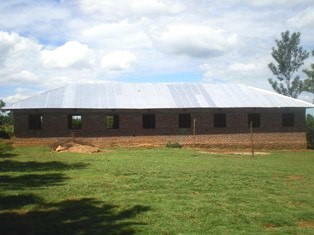 To date LifeNets has contributed $172,000 into the JohJan school projct. Before 2012 we contributed $139,000 and in the early part of this 2013 an additional $33,000 to date on this project and did not contribute at all in 2012.